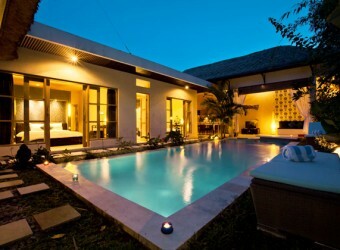 Bali Hotel Enigma Villa located in Canggu. The villa design by white and light blue fresh interiors that make you comfortable stay. The villa is surrounded by rice filed so you can spend time with calm and relax.